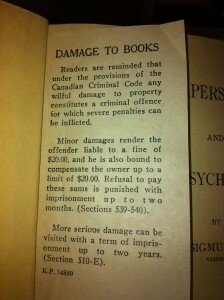 This notice was discovered recently in a book in the McLennan stacks. 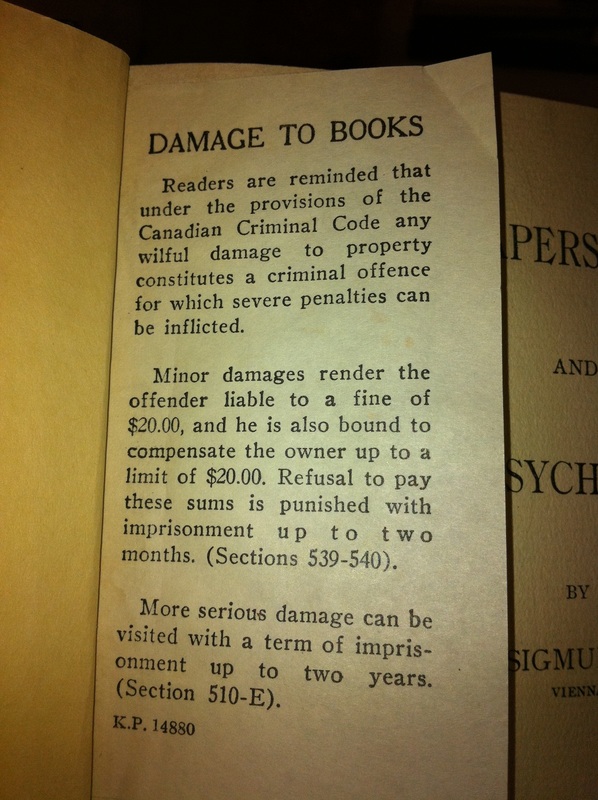 No need to worry, these days if you lose or damage a library item we won’t send you to jail. With a collection that dates back to 1855, there are all kinds of treasures to be found both in our collection and inside the books themselves. 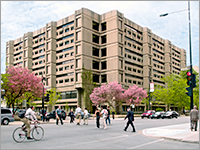 If you come across something that you want to share, send a picture to hssl.library@mcgill.ca and it might be used in a future blog post.